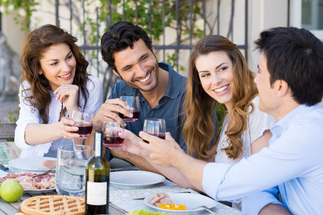 Dining out or relishing a night on the town is way, way... waaaay better when you don't have to think about the traffic, or how drunk you get, or where to find parking, or who's going to drive home. Limousine Dining frees your mind to focus on the right things: your special someone, the atmosphere, the moments pregnant with meaning and possibility. The elegance of showing up in a limo and having an on-time chauffeur who opens your doors is out of this world. Dude. Dudette. We beseech you. Do it in style. Dine out right. You want your night out to be right. So what do you look for that's right in your limo service? Smiling, friendly, helpful, knowledgeable, safe, and professional chauffeurs? Years of experience planning this sort of thing? We've got it all... and more. And we want to prove it to you! Give us a call at 602-536-9116 and try us! 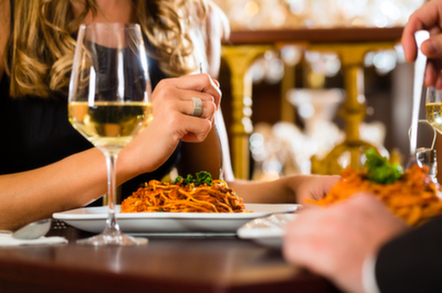 Speak with a friendly, knowledgeable assistant to plan your dining out night on the town.